Develop your child's imagination and creativity with this amazingly fun, Odyssey Transporter Junior Kit! 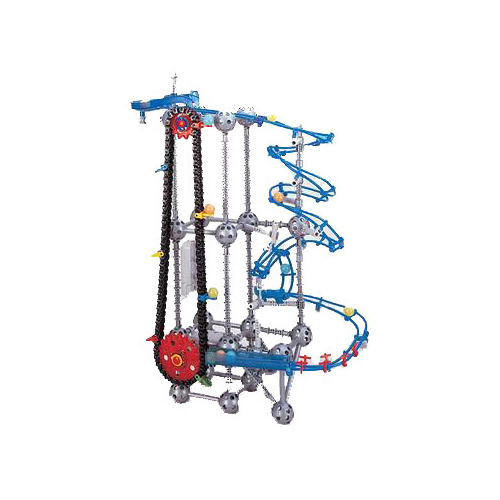 The Odyssey Transporter Junior is an educational toy that encourages youngsters to build their concentration, motor skills and creativity using 330 plastic pieces, 20 marbles and six metres of wire. The excitement of this game lies not only in finishing with different construction styles, but also in the building process itself! 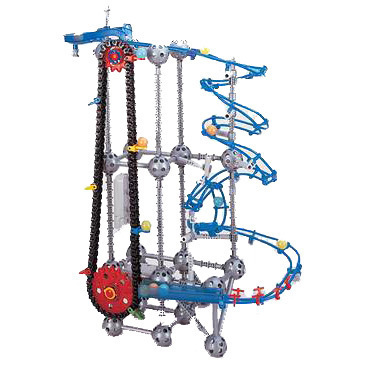 Complete with a step-by-step full colour users manual, this battery operated marble transporter moves marbles up an elevator and then rolls them down a ramp designed by you. It includes 330 pieces, 20 marbles, and 6 metres of wire - which when put together construct many alternative designs. So why not try something new with this ultimate in build-then-play construction - and have yourself hours of fun and learning today! It was great because I could watch it go up and down up and down. But it was also hard to make!